Hey Gong Rockers! It's been a long time between posts, but rest assured I have not been slacking off. 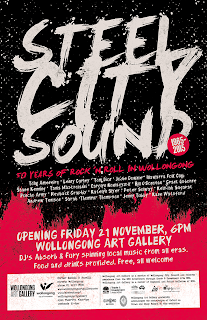 If you've kept up to date with our Facebook page you'll know that I've been busy ferreting away at curating a kick-arse exhibition at the Wollongong Art Gallery. 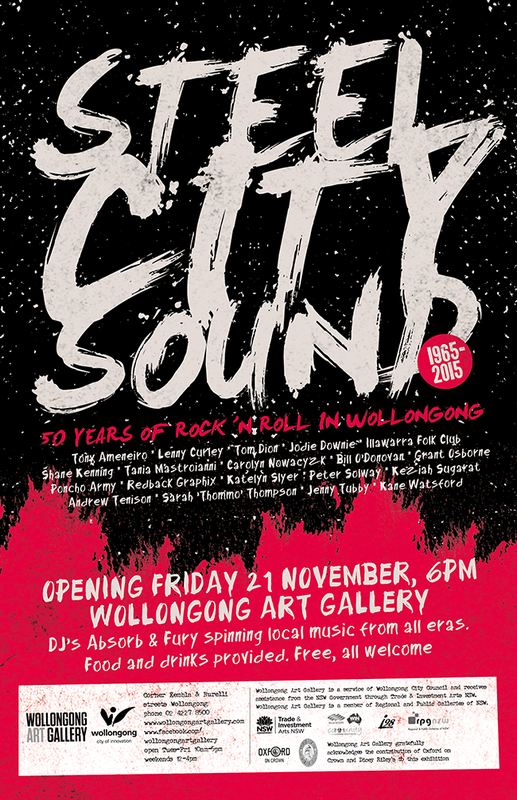 This exhibition opens on Friday 21 November 2014 at 6pm, and will run over the summer period. We also have a number of great events during the life of the exhibition, a few of which are listed here. Hopefully you'll be able to take advantage of. Come the new year, when all this is said and done, I'll be looking at ways to continue this work. I believe in the free dissemination of information and am keen to explore how we as a community may be able to develop and maintain an online archive of our musical heritage. Please feel free to get in touch if you want to help that happen. Hope to see you at the launch. Otherwise, keep rockin' the Gong! Would have loved to have seen this. I must live under a rock to have not heard about it till now.